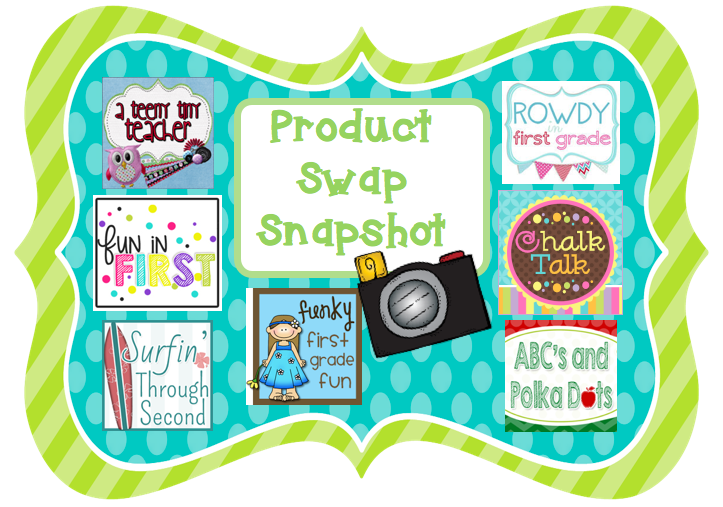 Funky First Grade Fun: Product Swap Snapshot + Giveaway! 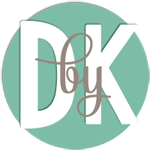 For the next few days, a few of my teacher/blogger friends are spotlighting some products we swapped. We're also kickin' off our Product Swap Snapshot with a giveaway! Starting today (4/12) and ending on Wednesday (4/16), you can enter for a chance to win a $50 gift card to The Vintage Pearl! 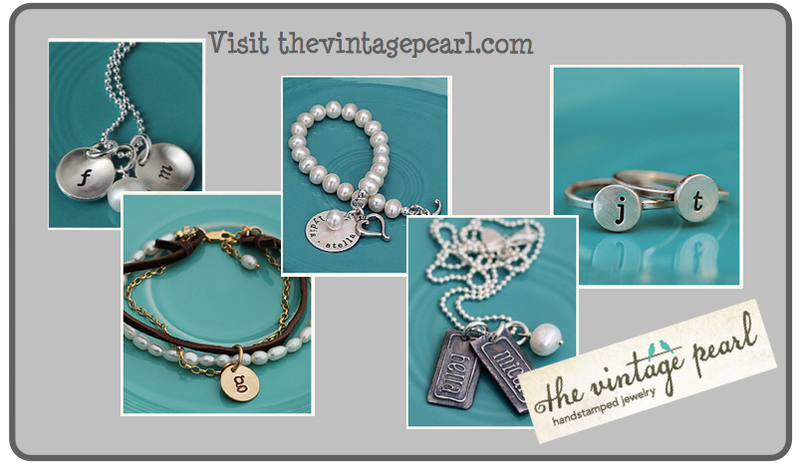 The Vintage Pearl makes beautiful hand stamped jewelry. 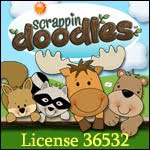 I have several of their pieces and have given several more as gifts. You can enter for a chance to win a $50 gift card to The Vintage Pearl at the end of this post. For our product swap, I had the pleasure of trying out a product from Jill from ABC's and Polka Dots. 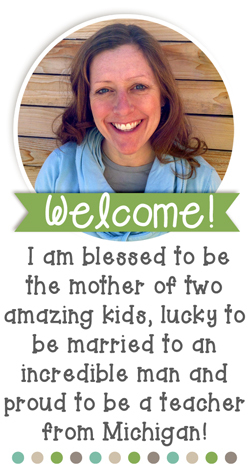 Jill is a fellow Michigan blogger and a kindergarten teacher. Jill and I have become friends during the past year and we're hoping to meet up sometime soon. 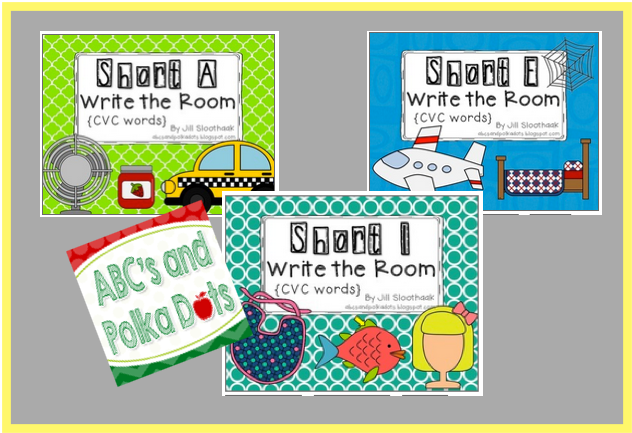 I was lucky enough to use Jill's short vowel (cvc) write the room activities with my struggling readers for the past few weeks. Next year, I'll be able to use all of these with my 1st graders for the first half of the year. At this time of the year, they were perfect for my struggling readers! During the first week, I used the Short A Write the Room, Short E Write the Room and Short I Write the Room activities to work with my kiddos during small group instruction. Then I was able to have a parent helper use the cards from Jill's product to work on word family sorts. Here are the some of the cards from the Short A Write the Room product. My students were independently able to use ABC order and write the room pages. My students loved searching for the short vowel word cards around the room for the Write the Room activities! In fact, they begged me to do it three days in row. I don't know about you, but I'm all for any activity that has my struggling students begging me to let them do it practice it again. Thank you, Jill, for these great resources to help my students! 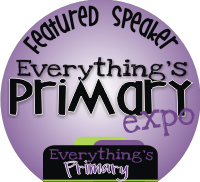 Please stop by and visit Jill at ABC's and Polka Dots! who will be snapshotting other great products! Don't forget to enter the giveaway for the $50 gift card to The Vintage Pearl!